Car accidents can leave an ugly picture in your memory. Although the scars won’t disappear, you can and should be compensated for having to undergo such traumatic time. If you or a loved one was involved in a car accident, you have to take up the case to ensure you are adequately compensated. 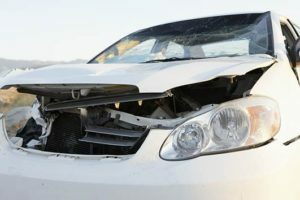 Getting an experienced auto accident attorney in Anaheim, CA who knows his onions is one way to go about it which is why you need Rawa Law Group attorneys. Having successfully represented many clients with 100s of millions in settlements recovered, Rawa Law Group is a superior 5-star law firm with a strong legal team. When you work with our top-notch auto accident attorney in Anaheim, CA we strive to help you maximize your accident claim settlement. Rawa Law Group has been in the business of client satisfaction for over 20 years and our skilled auto accident lawyers are well versed in this field with the tact to handle these cases efficiently. We meet you either at your home or hospital and get as many details as possible of your car accident. To ensure you get the best service, Rawa Law Group offers personalized representation alongside individual attention with solid attention to detail making sure no areas of compensation (applicable) are overlooked. We cover just about everything from property damage to emotional distress and lost income. In the sad event that an Anaheim driver dies from an auto accident, Rawa Law Group is determined to help the family receive the maximum legal benefits obtainable under the law. At Rawa Law Group, we offer Anaheim auto accidents claimants’ access to top personal injury lawyers in California who are ready to jump on a case and close it successfully. Reach out to us for a FREE, no-obligation consultation today.